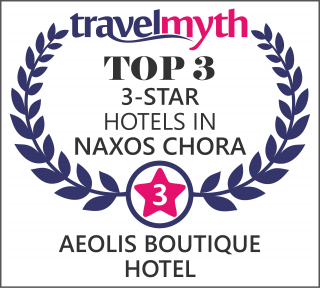 Aeolis Boutique Hotel in Naxos island is situated at a very convenient point, 150 meters from the sandy beach of Saint George and 80 meters from Naxos Town main square (Protodikiou Sq.). Free transfers from / to the airport / port. Please be sure to inform us about your exact date and time of arrival / departure.